"Turned Up When They Said They Would And Explained Every Thing They Were Doing And Why"
"Excellent Response, Fitting And Did A Great Job - Would Highly Recommend This Local Hero." "Replaced An Old Fuse Box With A New RCD Box, Tidied Up Existing Wiring And Thoroughly Cleaned Up Afterwards." 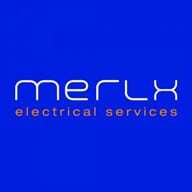 "Quick Response To Request,Arrived On Time, Carried Out Work Quickly And Efficently"
Need a Electrician in Sheffield?